Kristen and Patrick met while working as finance professionals in New York City. As much as they love New York, they wanted to have their wedding closer to family. 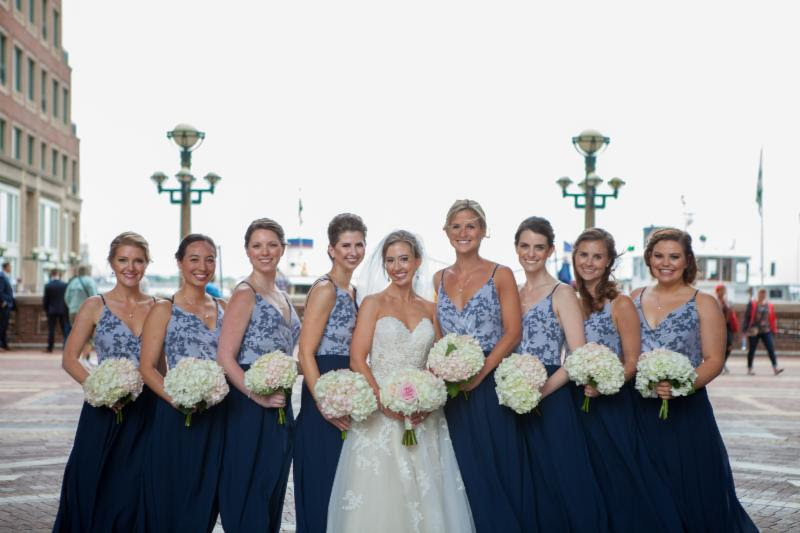 Growing up outside of Boston Kristen knew that the Boston Harbor Hotel was the perfect venue for a classic city wedding that offered amazing views of the ocean and harbor. Classic, timeless style with subtle nautical touches was the theme of the wedding. The bridesmaids wore Haley Paige dresses with a floral pattern top and carried pink and white hydrangeas, the bride’s favorite flower! The groomsmen wore classic black tuxedos with pink Vineyard Vines bowties. Kristen surprised Patrick when she had the band call him up to play the drums with them for his favorite song. He brought the house down! Boston Harbor Hotel pastry team decorated their cake with navy nautical stripes. The bride found the perfect pair of pink and blue sailboat ornaments for cake toppers. The band played Bobby Darren’s “Beyond the Sea”. It was a perfect way to wrap up the evenings formalities. Charlotte and her team were wonderful! 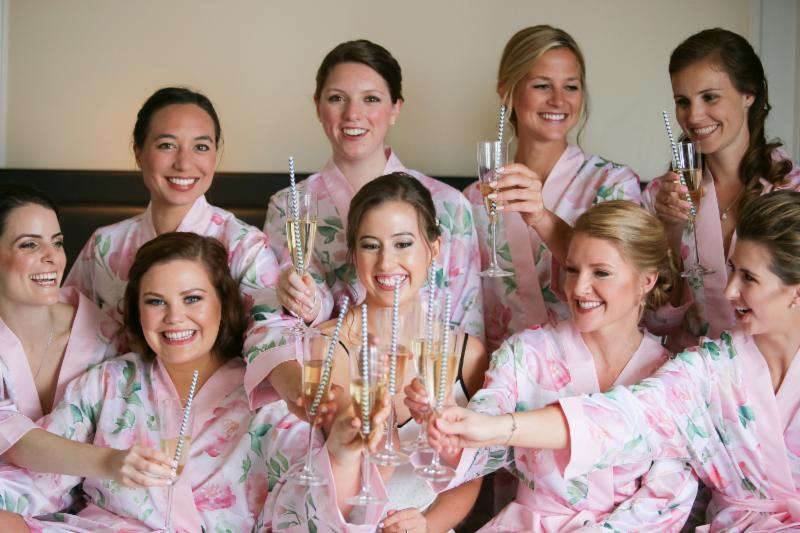 My hair and make up turned out even better than I could have ever imagined and the bridal party looked gorgeous! Thank you to Charlotte, Chris, Helena, and Kelly for making the morning of my wedding day so easy and for making us all feel so beautiful!